There’s a new Sheriff in town at Gucci in the form of Creative Director Alessandro Michele. Since taking the position in 2014 the Italian fashion designer has revolutionised the style of Gucci and now his eye has turned to the house’s fragrant output. Gucci fragrances have historically been quite groundbreaking, with the likes of Envy, Rush and Gucci Pour Homme standing out as cult classics that drove the art of olfaction forward by miles. Gucci’s recent output, however, has been on the safer side, but safe is not Michele’s style and earlier this year the brand launched Gucci Guilty Absolute Pour Homme, a phenomenally unusual (and medicinal) take on vetiver that puts a lot of other mainstream masculine fragrances to shame. So it seems that once again, Gucci really wants to do some interesting things with their fragrances and to inject some of the intriguing characters that make the brand so irresistible. 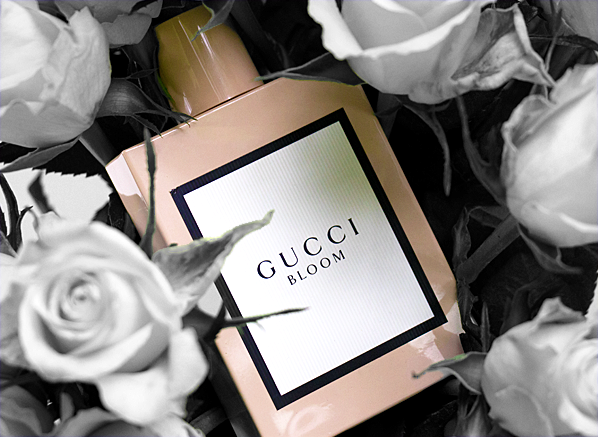 Enter Gucci Bloom – the latest feminine fragrance from the esteemed luxury house of Gucci and it is causing quite the stir. Billed as evoking a type of Eden, Gucci Bloom is a white floral created to unfold like its name. It’s a white floral that boasts a trio of beautiful floral notes, with tuberose, jasmine and rangoon creeper (a type of Chinese honeysuckle) to create a bohemian bloom that treads the tightrope between vintage and modern. As one might expect from a fragrance that bears the name ‘Bloom’, Gucci Bloom is distinctly floral right from the outset. Initially, there is a lot of greenery amongst the blooms, with the idea of vivid leaves and stems taking centre stage, with just a hint of sweet citrus (maybe mandarin) to bring a few drops of sparkle to the tips of the flowers. There’s a coolness too – a menthol-like iciness that is entirely evocative of tuberose, the leader in Gucci Bloom’s triumvirate of flowers. Then you get the full force of the white flowers. They are creamy, sweet, heady, symphonic and fresh. What most people will notice is just how lightly they are used, allowing for the full intensity of their scent to shine through, albeit in a wispy, breezy way. This creates an unusual type of white floral – one that smells of the fullness of white flowers without any of the heaviness. It’s incredibly well put together! In terms of development, Gucci Bloom is relatively linear. Instead of changing drastically in time it stays largely the same, with the key themes remaining strong, whilst subtle nuances shift over time. It’s one of those fragrances that simply softens with time, giving the impression of a garden as the sun moves over it during the day. The garden is always visible, but as the light moves different aspects are placed into focus as the sun shines down upon them. So whilst Gucci Bloom is linear it is multi-faceted. Gucci Bloom is a beautiful fragrance. It is so much more than just a modern white floral, a style that is often vapid, sanitised and lacking in personality, but at the same time it isn’t a heady or animalic floral of the old school – it’s just perfect. 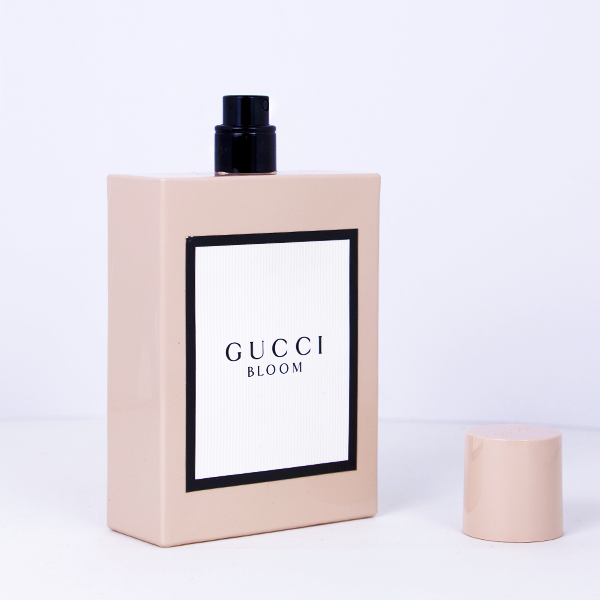 Right from the spot-on shade of blush that adorns the ‘70s bakelite-style bottle, through to the vintage floral print of the box and the simple name, oh and not to mention the gorgeous fragrance itself, Gucci Bloom is truly wonderful. Now I cannot wait to see what Gucci does next! This entry was posted on Wednesday, September 27th, 2017 at 11:22 am and is filed under Candy Perfume Boy, Fragrance, New products, Tried & Tested. You can follow any responses to this entry through the RSS 2.0 feed. You can skip to the end and leave a response. Pinging is currently not allowed.